Steffan Dolben from year 12 has been chosen to play for the Wales under 18’s football team! He will start his training at ‘Dragons Park’ Newport very soon! 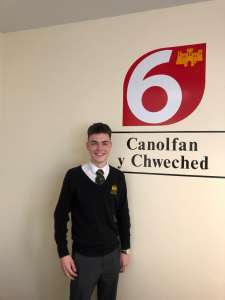 Steffan has played football for Ruthin Town and Bala Academy (under 19’s). Well done and best of luck to you Steffan!